The days of May in Texas can be hot, rainy, humid, sunny and cool, all in the same day, especially when on a motorcycle. The 17th day of May in 2015 was one such day for at least 192 motorcycle enthusiasts as they came from different parts of Texas and even one C.o.C.&I. member rode in from Oklahoma. They traveled to attended a scheduled, Regional Confederation of Clubs and Independents, meeting at the Twin Peaks restaurant in the Central Texas Market Place in South Waco near where Interstate 35 and Hwy 6 interchange. Many of the pictures of the tragedy from the media, bystanders, Wacoans or even law enforcement, each have a different back drop, which will help those who view the image, to understand that the time of day matters quite a bit when trying to piece together what is being viewed. Approximately 1pm on 05-17-15 the Cossack ABC – the Bearded fellow near the wall with a white cell phone in his hands (which was not included in Discovery) is hugging another Cossacks MC member | Also pictured are Army Veteran Kris Rhyne – left center – with an SS Tattoo on his left arm and Army Veteran Trey Short -far right- with SS patches on his cut. (Trey Short is now deceased) The MC Member being hugged – in front of ABC, as well as the member with his right arm in the tree branch – far left, and the tall lanky guy – right center – do not seem to be among those whom were arrested on May 17th, 2015. 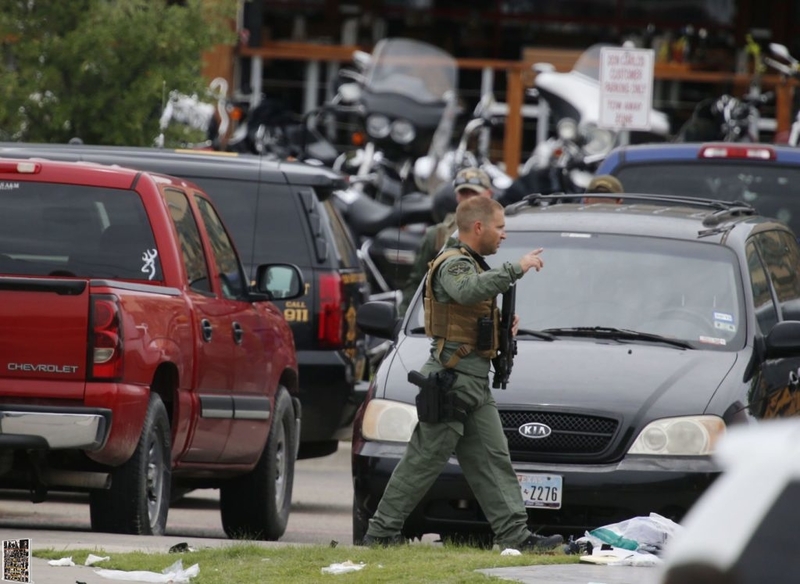 The bearded man with a Yellow bandana in the back left pocket is Bryan Harper, as seen with blood on his hands after transporting several of his wounded brothers to EMS staging areas far away from where they were injured. The definition of a “Sniper” from the United States Marine Corps is: “A USMC Scout Sniper is a Marine, highly skilled in fieldcraft and marksmanship, who can deliver long-range precision fire on selected targets, from concealed positions. 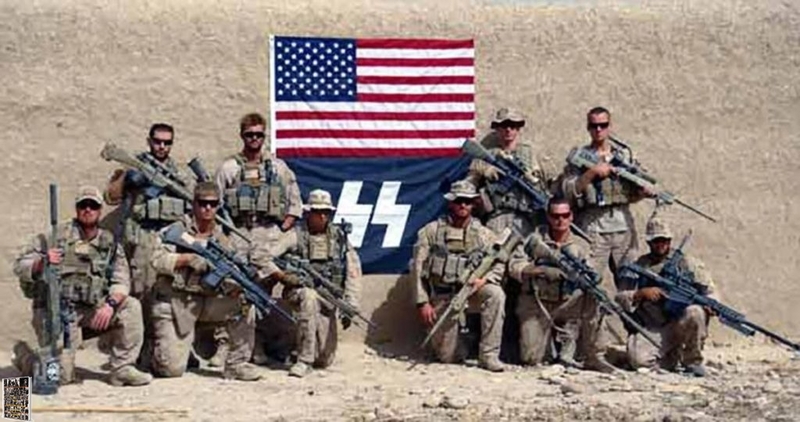 USMC scout snipers in front of SS flag in 2011 (notice the scopes and long barrels of the Sniper Rifles.) The longer the barrel, the more accurate the weapon. The use of the in Motorcycle culture is very guarded and not very clear as to the importance of the insignia for select members. From what is known of the symbol in the American Marine Corps is that it is used for the elite soldier to signify their elite talents. Very much like the secretive and elite members of our Nations finest fighting forces, the misunderstanding of the general population towards their actions and use of symbols, is supposed to be unknown, or a grey area at best. Some things are better left unsaid towards the civilian world when the elite arms of our “law enforcement” are used over seas it seems, however it is not regarded as legal to use at home on civilians. The reader can perform a Google search and find results for “Drone Program Success Rate” and find that the use of technology and weaponized technology is not always the best solution. A sniper is the human factor that comes in between digital intelligence and a target, to ensure that the proper target is acquired and that lethal force is the only solution for the neutralization of said target. A drone is simply a robot that delivers a payload on to a target. These symbols that the bikers wear, are likely going to be one of those things that the general public will never understand until you sacrifice your life for the service of ones country or one’s club. 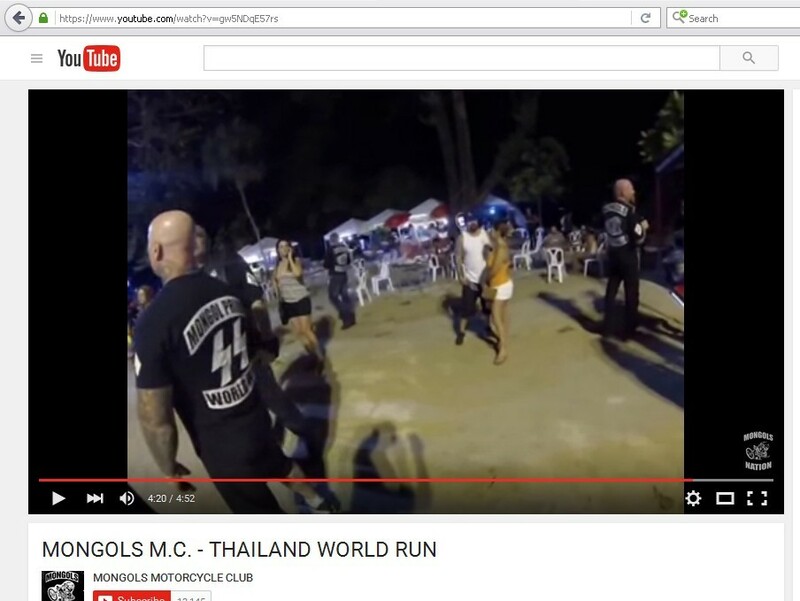 Motorcycle Clubs are very family/military oriented, as Veterans like structure in the chaos of civilian life, they find that riding a motorcycle with another like minded person evokes that spirit well. 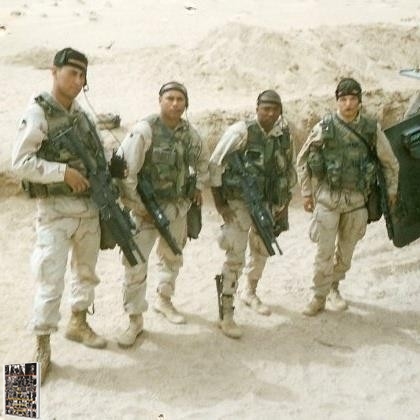 Military folks miss the structure of the military life, and the purpose that comes from unity. That UNITY is what is under attack by the Federal Prosecutors from the Department of Justice. Do NOT let misunderstood symbols sway your judgement in trying to figure out what things mean to other people. To Federal Prosecutors, an MC member’s symbols are more lethal to you, than the average police man. Think about that. Screenshot of a Youtube video where double Sig Rune symbols are used on a Mongols soft color shirt. Mongols are a majority Hispanic MC. This shirt would be considered a part of the Mongol Nation. The sunset time for May 17th, 2015 in Waco Texas was 7:19 pm. 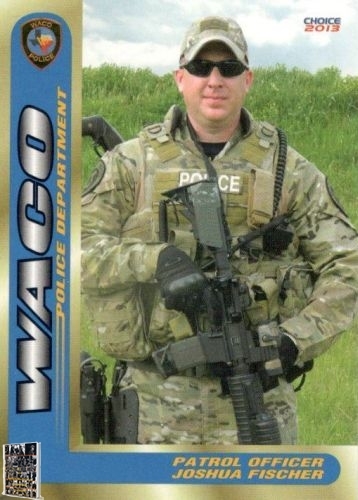 and there are pictures of Waco Police Department “Snipers” that might have fired their S.W.A.T. issued “sniper rifles” at civilians in the Don Carlos parking lots and Twin Peaks parking lots, however there was only one “sniper” rifle turned over to B.A.T.F.E. 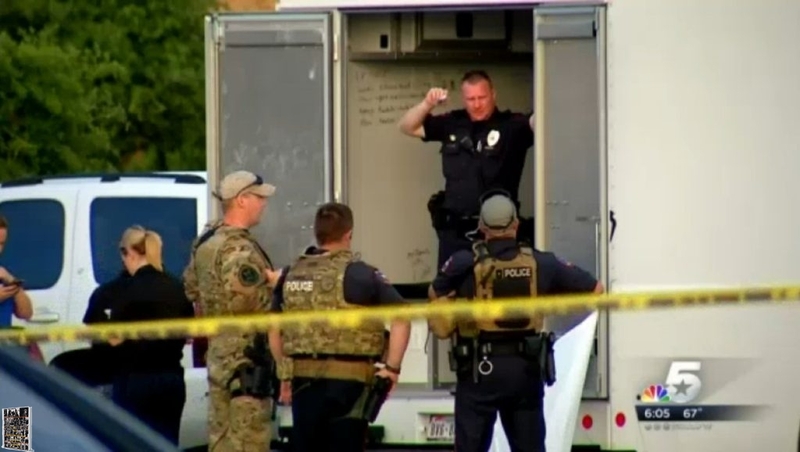 ballistics to be tested on behalf of all law enforcement, and that rifle belongs to former Army SSGT and Waco Police Department Officer Michael Bucher. 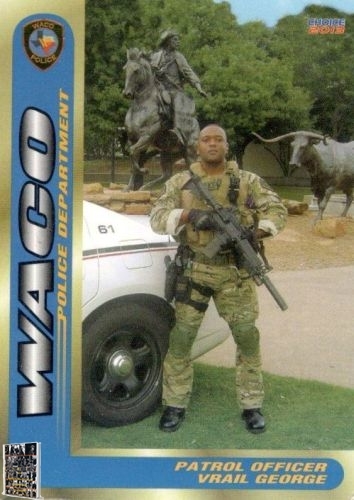 Waco Police S.W.A.T. 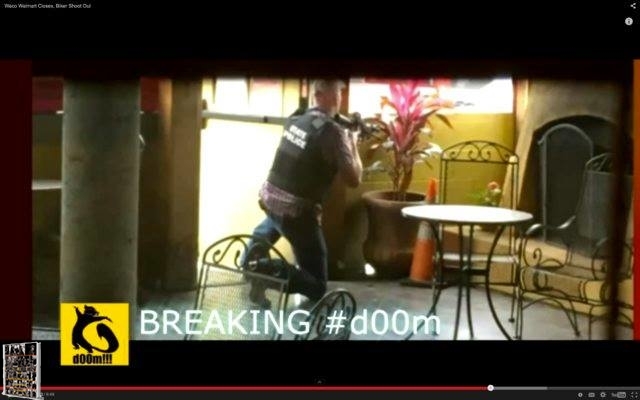 were not the only “snipers” to have a firing position that day. 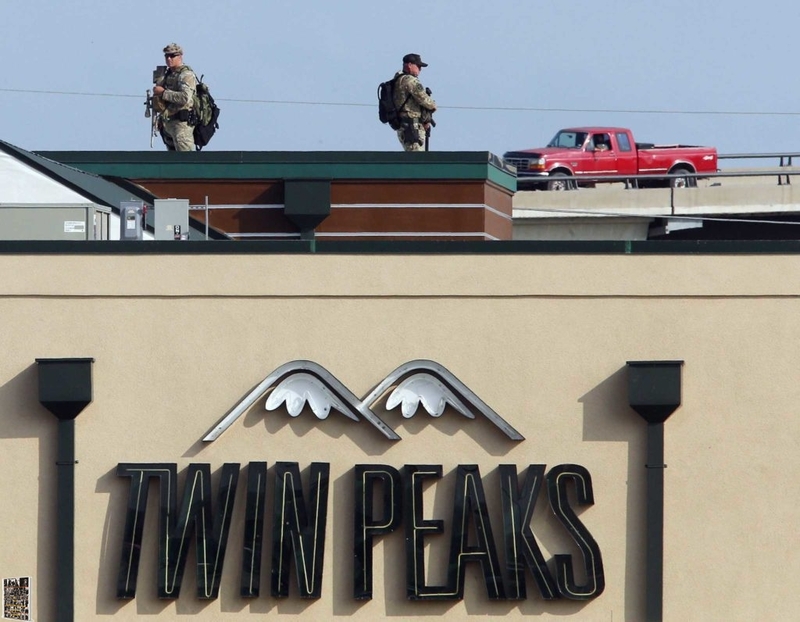 The question of how many “snipers” were in position at Twin Peaks, still remains a mystery, as the definition of “sniper” has still not been presented to the public in open court. Perhaps that issue has been resolved in a Grand Jury setting, and we will never know. There were at least 3 possible DPS “snipers” as well. Where were McLennan county S.W.A.T. 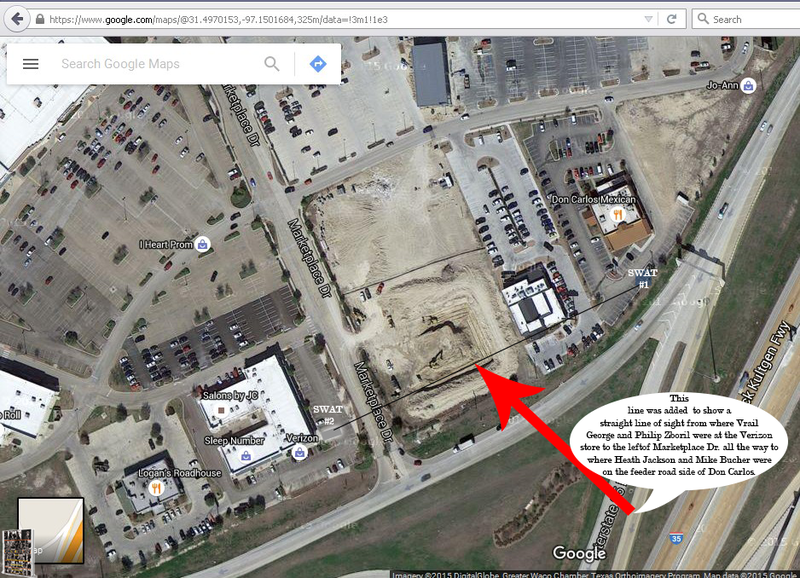 officers positioned in the Central Texas Market Place Shopping Center? Where did McLennan County Sheriffs S.W.A.T. 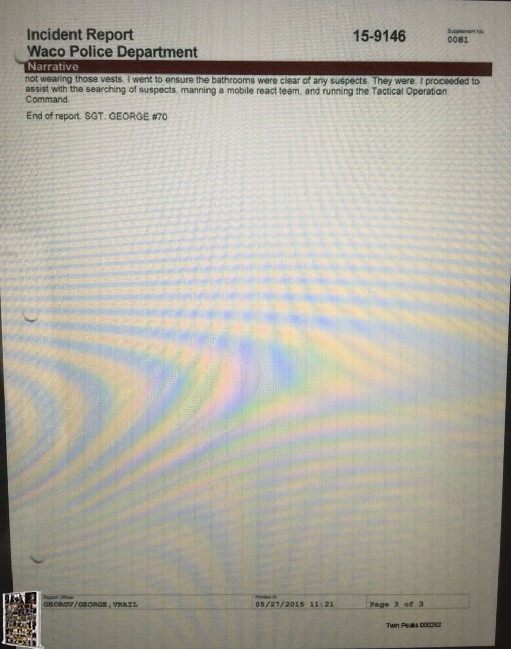 officers receive their weapons used on May 17th, 2015? 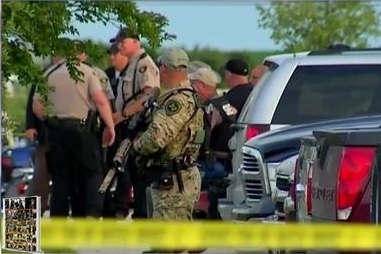 There were 40 – M-14 RIFLE, 7.62 MILLIMETER rifles purchased in January of 2007 from the 1033 Department of Defense Military Surplus program by McLennan County, for aiding police departments in acquiring military grade equipment. The same 1033 program that sold Department of Defense Surplus Military Grade M-14’s to the DPS. 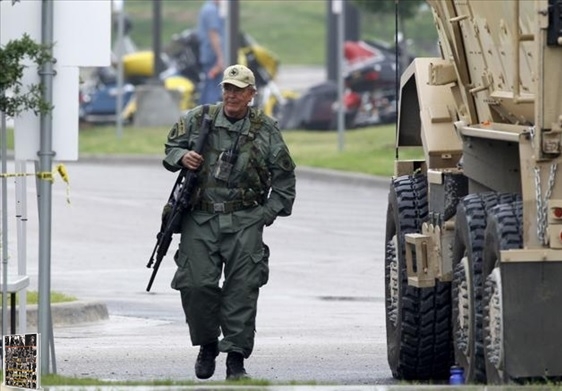 In the United States, the 1033 Program transfers excess military equipment to civilian law enforcement agencies. The program legally requires the Department of Defense to make various items of equipment available to local law enforcement.- “Shedding Light”. Defense Logistics Agency. Retrieved 2018-02-21. As of 2014, 8,000 local law enforcement agencies participated in the program that has transferred $5.1 billion in military material from the Department of Defense to law enforcement agencies since 1997. [ Poynton, Aaron. “Military & Civilian Resources: Doing More With Less” (PDF) ] According to the Defense Logistics Agency, material worth $449 million was transferred in 2013 alone. Some of the most commonly requested items include ammunition, cold weather clothing, sand bags, medical supplies, sleeping bags, flashlights and electrical wiring. Small arms and vehicles such as aircraft, watercraft and armored vehicles have also been obtained. On 28 August 2017 President Trump rolled back Obama’s Executive Order. [ Johnson, Kevin (28 August 2017). “Trump expected to lift ban on military gear to local police forces”. USA Today. Retrieved 28 August 2017. ] The ACLU and the NAACP have raised concerns about they call the militarization of police forces in the US. Attorney General Jeff Sessions announced the move early Monday morning of that week at the Fraternal Order of Police convention in Nashville, and said the president would do so by executive order. [ Jackman, Tom (2017-08-27). “Trump to restore program sending surplus military weapons, equipment to police”. Washington Post. ISSN 0190-8286. Retrieved 2018-03-22. ] 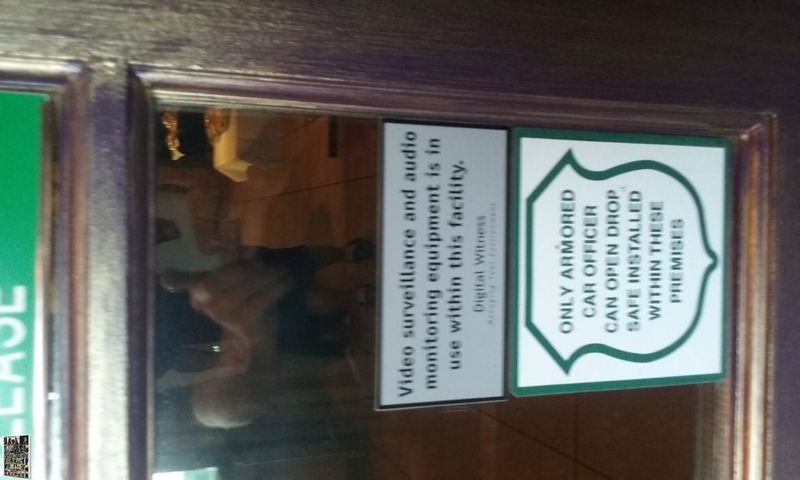 At the same time, Attorney General Jeff Sessions and the director of the Fraternal Order of Police (FOP) pointed out the use of 1033 equipment as life saving devices seeing restrictions on distributing military surplus to police as “too far.” The FOP also pointed out that the armored vehicles weren’t tanks. These weapons being issued to the Central Texas Sheriff’s offices are very likely remnants of their duties along side the Secret Service during President Bush’s tenure, since their acquisition date was January 5th, 2007, as George W. Bush used the Waco Airport as a storage hanger for two Air Force One planes for transport to and from his Prairie Chapel Ranch in Crawford, Tx to Washington, D.C.
Prairie Chapel Ranch is a 1,583-acre ranch in unincorporated McLennan County, Texas, located 7 miles northwest of Crawford. The property was acquired by George W. Bush in 1999 and was known as the Western White House during his presidency. 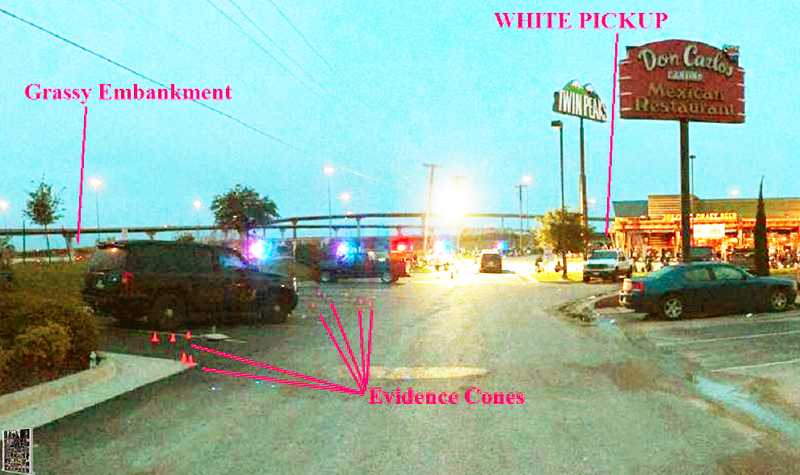 4 WPD officers in front of Twin Peaks on 5-17-15 The officer with the LBV with white Police lettering is Michael Bucher (3rd from the left). Ben Rush is pictured far right. Heath Jackson. 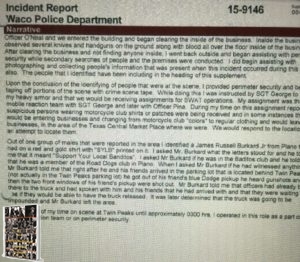 Bucher & Jackson were in the same unmarked surveillance vehicle, which was parked, backed in to two parking spots with the rear of the vehicle taking up two spaces facing the 1-35 frontage road in the Don Carlos parking lot. 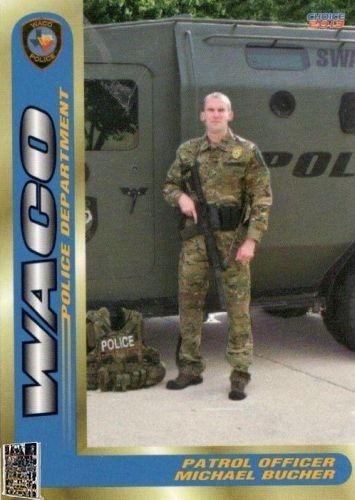 Waco Police Department S.W.A.T. 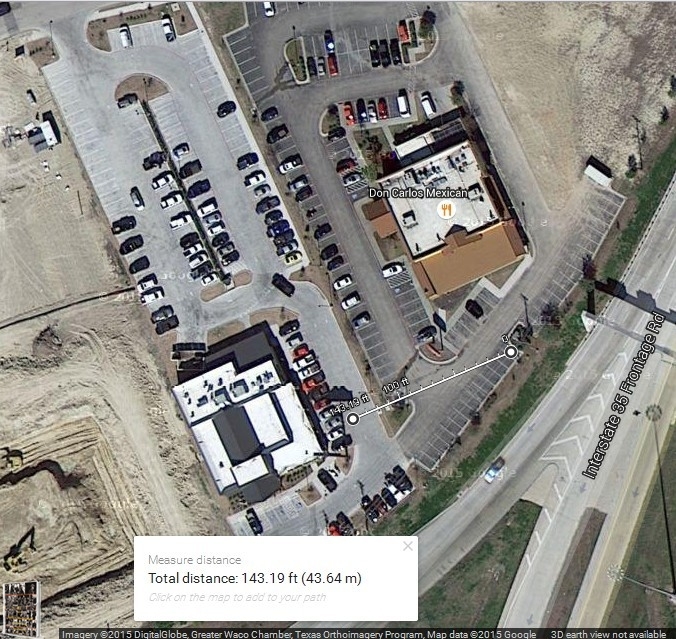 team leader and war trained Army Veteran Vrail George was on the B Side of the building near the empty Lazy Boy Retail building site and Verizon phone store and Logan’s Road House. 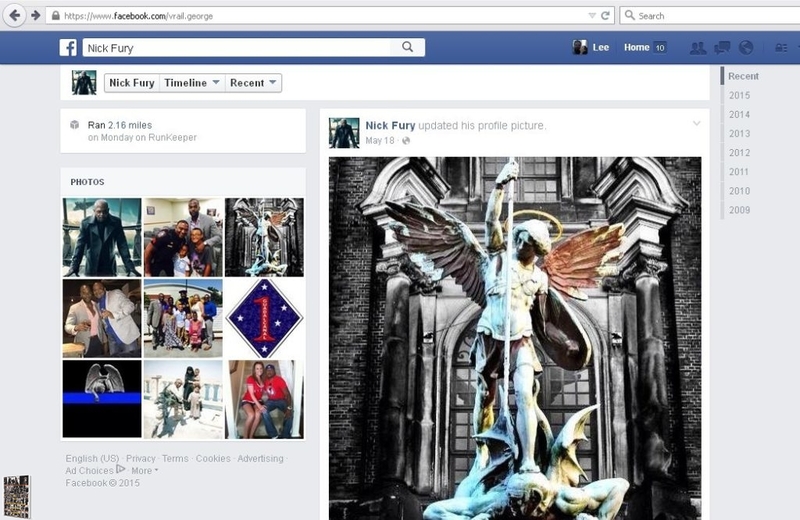 Vrail George’s Facebook post where he reveals that he feels “called from above” to do his duty and his job as he posts an image of an angel slaying a demon with a sword on May 18th, 2015 under the user name Nick Fury. Vrail George in his “Los Angles Blues” uniform for W.P.D. S.W.A.T. operations on May 17th, 2015. 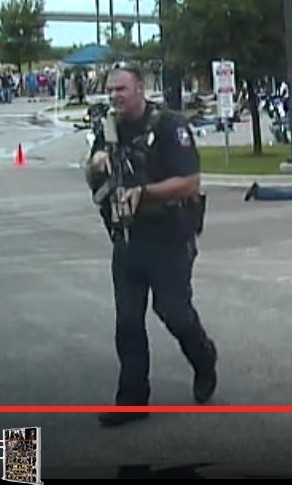 WPD Officer Philip Zboril with purple gloves and “Noise Suppressor” on his rifle seen after the Twin Peaks incident directing traffic near I-35. 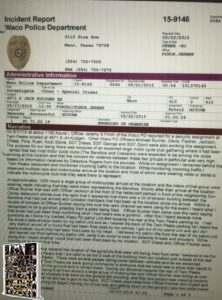 Texas DPS Special Operations Unit from Company F included at least 5 individuals according to the (NOT PRESENT IN CARRIZAL’S DISCOVERY) – DPS CID OPERATIONS plan. 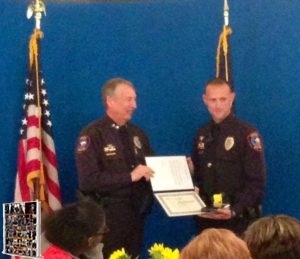 Who is the Law Enforcement Officer in the Blue Shirt and Police Vest seen below with Shooter #2, and DPS Cody Ledbetter? Could this Be Justin Overcast? 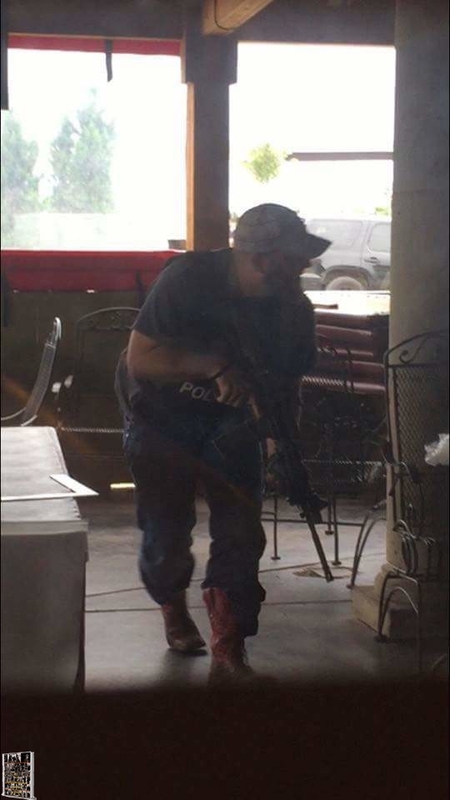 The question of whether or not there were “snipers” in place in the Central Texas Market Place on May 17th, 2015 will likely only be answered with a complete list of weapons issued w/ ammo count, to any person on the premises in a Law Enforcement capacity, as well as personal weapons w/ ammo count so that forensic ballistics could happen immediately. Which never happened, nor likely ever will happen. 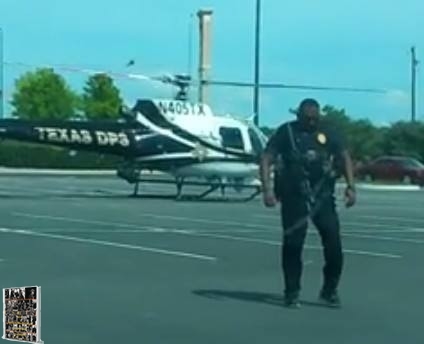 What we do know is that there were several different types of officers, trained in SWAT team operations, conducting an operation that was trained for in advance – to use potential deadly force if necessary – on American civilians in a parking lot, in broad daylight, during Sunday Church Lunch Rush Hour. 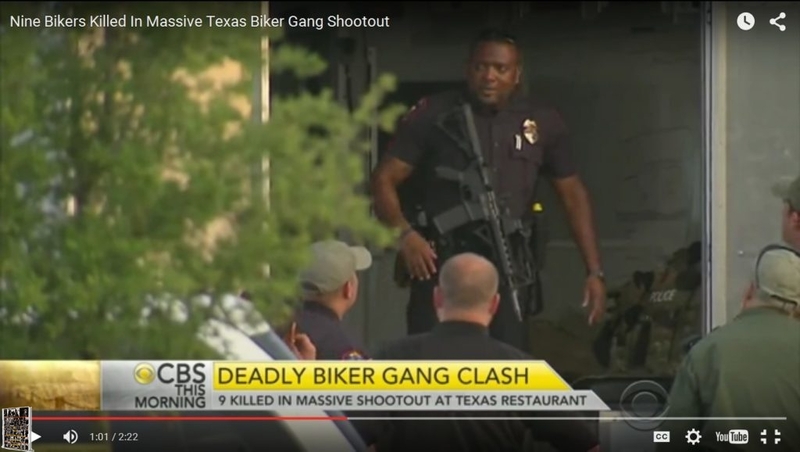 This was an obvious military style operation, with military grade equipment, using military trained soldiers, turned police men; targeting a political meeting, which was being held by Motorcycle Club members from all over Texas. 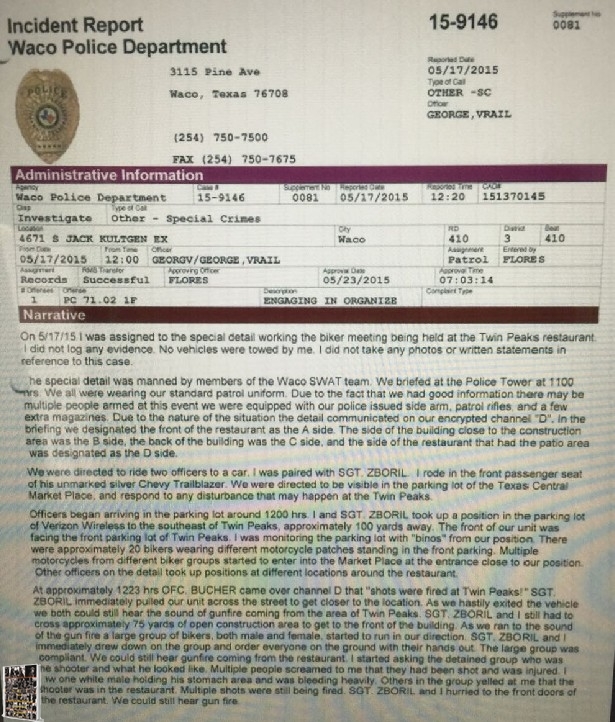 Who trained the local police force, local Sheriff’s Department members, Texas Department of Safety members, and Texas Alcohol Beverage Commission on this event? What was the highest ranking Law Enforcement agency at Twin Peaks, and at what time frames, starting at 7am on the morning of May 17th, 2015? 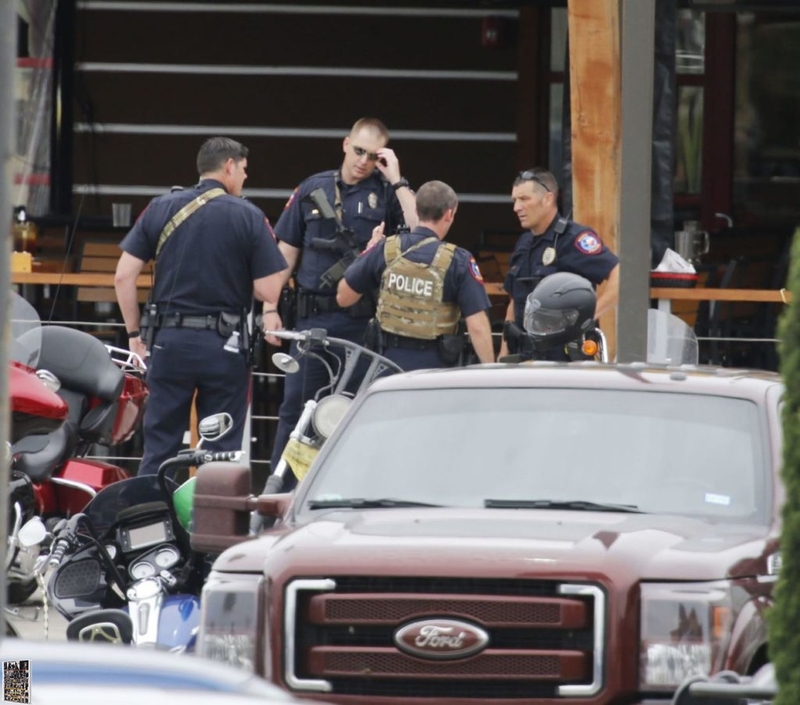 Which Federal entity, both facilitated the weapons used against the bikers the day of Twin Peaks Ambush, as well as funded the training of the officers involved, at least the sponsorship of the organization conducting the training? 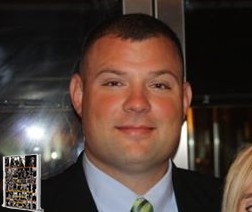 The Bureau of Justice Assistance is how the weapons got in state level law enforcement’s hands, and they also sponsored the Steve Cook training class in April 2015 at MCC on how to conduct an ambush on several Motorcycle Club members in May of 2015. Although ticket prices for the event were $300 a plate, the email did not go into details as to what that plate covered. Steve Cook the movie star is an expensive date. What is there to do with all of this information at this juncture? The Grand Jury has already cleared the officers involved in the shooting from any wrong doing in McLennan County Courts. 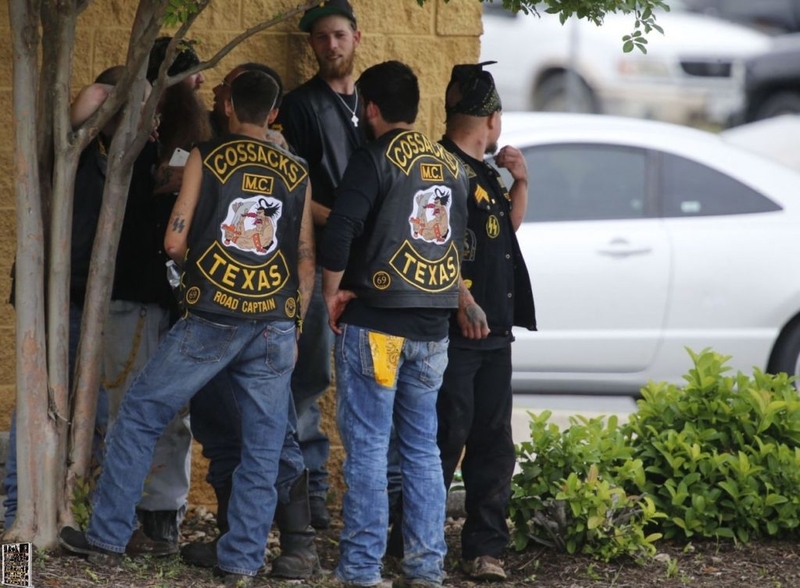 One biker has already been to trial for Organized Crime and was found Not Guilty with a hung jury decision in McLennn County for their participation in the C.o.C.& I. meeting that took place at Twin Peaks on May 17th, 2015. In this trial there was Exculpatory Evidence with held by the former prosecutions office, which was also discovery evidence and very important in Tarrant County cases against the Bandidos MC. 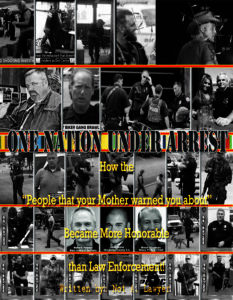 Disclosing the Brady Violations, to the team of defense attorneys now, who are still representing clients charged with crimes from these offenses, in a public venue, with full transparency and determination to correct the errors made thus far, would be the only way forward for protection against future libel actions with more Morton Violations soon to follow if the evidence is not disclosed. Showing the Guilt of a crime committed by any one biker, (when the Law Enforcement Officers that were involved, set a trap to promote crime, violence or the use of deadly force,) will be hard to prove to a jury in any new trials going forward, which is a huge personal liability claim against every single member of the agencies involved in the training to “entrap” civilians. Public Servants are allowed to object to an order given, and trained in steps to avoid dangerous situations for civilians. There is NO excuse for any tax paid public servant to follow an order to do harm to another human followed by training in which to do so, and also have no plan to de-escalate the situation. Creating the Nexus between “Operation Texas Rocker” and the current Federal prosecution(s) of the former leadership of the Bandidos MC would allow for a solid defense for those prosecuted to include all cases against the Bandido Nation in any jurisdiction within the United States. 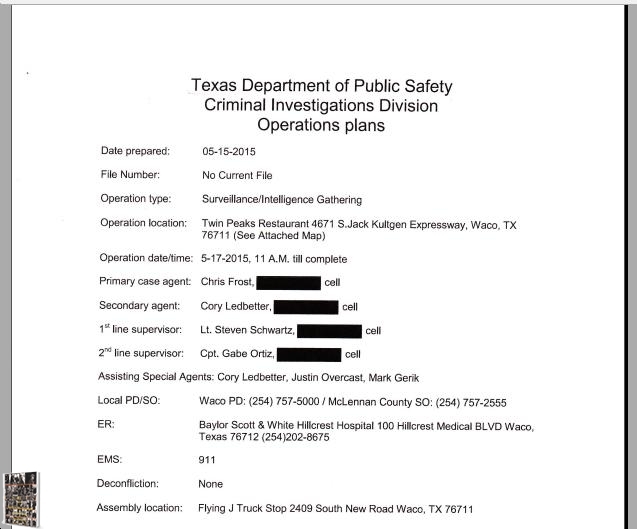 Tying Waco in with these cases is easy to do with one person, who was present at Twin Peaks, and Gators Jam Inn or very close proximity, and also has a CLEAT attorney. 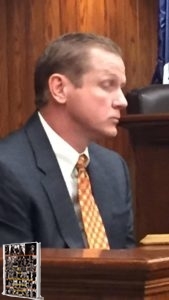 Tarrant, Ellis, Limestone, McLennan, Bell, and surrounding counties cases can all be used in defense in the Federal cases, as well as Twin Peaks charges, and the Anderson threat, from Miss Boggess, would show obstruction of justice if not allowed. There will likely be one name that stands out among each documents signature for warrants. Fusion Center Data would be attainable for use in defense against all past and future cases, and the methods of acquiring said data, which would turn into a 1983 Civil suit, when evidence shows illegal methods of collecting data, and this would set the dominoes falling down around the over zealous federal prosecutors in California. Molecular testing of any evidence involved against the Bandidos MC in the United States would be required. 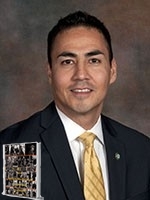 Eliminating the chance that the substances did NOT first come from BATFE and DEA churn investigations from around the country would be essential in forming a solid defense to the false accusations against Motorcycle Club Members Nationwide. The Bureau of Alcohol, Tobacco, Firearms and Explosives (ATF) is responsible for the investigation and prevention of federal offenses involving the unlawful use, manufacture, and possession of firearms and explosives, acts of arson and bombings, and illegal trafficking of alcohol and tobacco products. In conducting its undercover operations, ATF may participate in transactions that are normally prohibited by federal law. 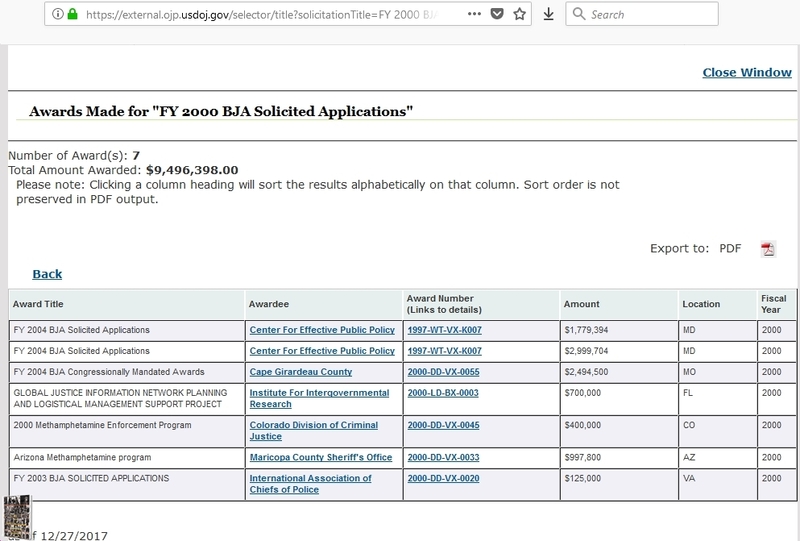 In most of these illicit transactions, ATF uses appropriated funds to make any purchases and deposits any proceeds into the Department of the Treasury’s General Fund. However, in 2004, ATF was granted the same authority previously provided to the Federal Bureau of Investigation (FBI) and the Drug Enforcement Administration (DEA) to use proceeds generated from these undercover operations to offset necessary and reasonable operational expenses related to the same operations. ATF refers to this authority as “churning authority,” and to cases that use such authority as “churning investigations.” To date, the ATF has used this authority only to investigate tobacco diversion, which involves efforts to evade state, local, or federal tobacco taxes. 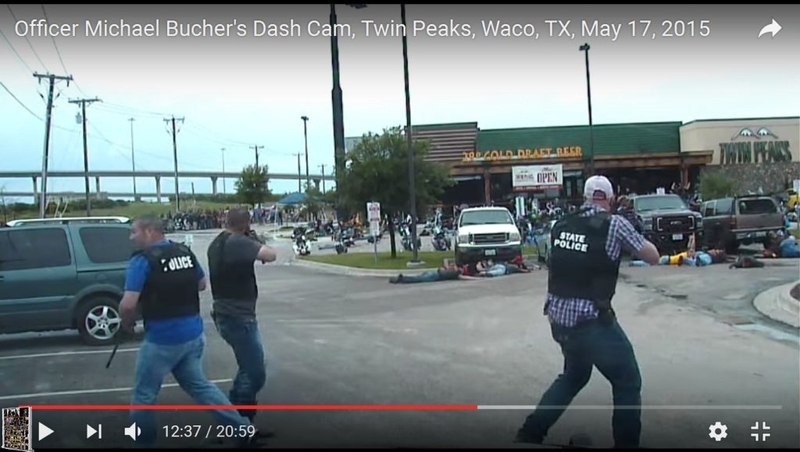 If you were involved in the Waco Twin Peaks Ambush, and you have a civil attorney for 1983 claims, please discuss the above information provided with them concerning the potential, personal liability, against the officers involved for deadly use of force. They had the opportunity to refuse any unlawful order. Who instructed the officers involved that deadly use of force was necessary against those gathering in the Twin Peaks parking lot? 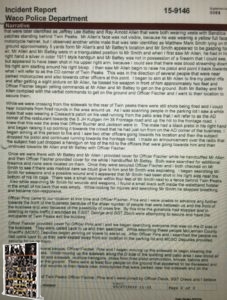 Were there any standing orders to allow a fight to happen between the two clubs, and to only return fire if fired upon, or was it when they hear shots fired? What was the Rules of Engagement for when deadly use of force would occur? 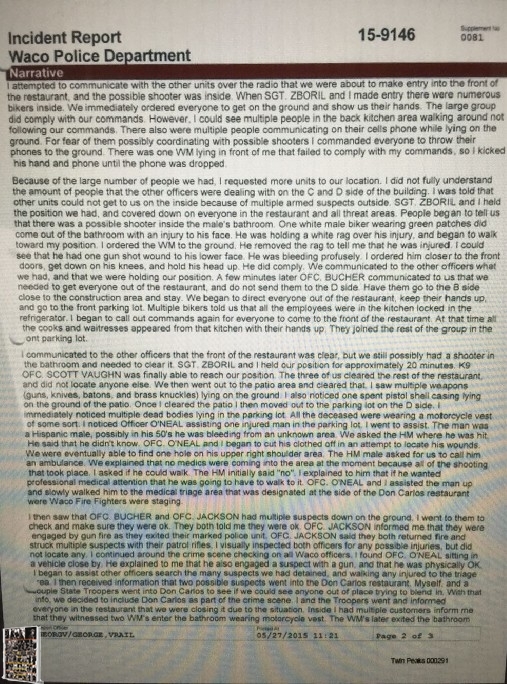 Best of Luck to everyone involved who is innocent and had no idea that the LEO of the situation would be involved or a part of the trap, on both sides of the parking lot. The next chapter will be focused on a solution plan to the events that have taken place. All of the proceeds from the site subscriptions between June 1st, 2017 and November 9th, 2017, were donated to the Shield of Faith Ministry aiding the victims of this tragedy. Shield of Faith does not condone, authorize, nor necessarily agree with the information presented. The website goals are to properly display the compiled, organized and accurately described details of events involving the Twin Peaks tragedy from May 17th, 2015.